The place of publication of the periodicals appears in brackets preceding each abstract. Periodicals on file in the Library of the American Medical Association may be borrowed by members of the Association or its student organization and by individuals in continental United States or Canada who subscribe to its scientific periodicals. 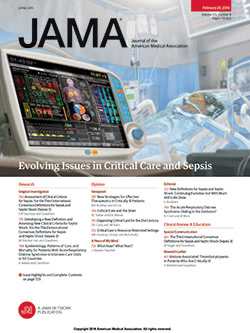 Requests for periodicals should be addressed "Library, American Medical Association." Periodical files cover 1948 to date only, and no photoduplication services are available. No charge is made to members, but the fee for others is 15 cents in stamps for each item. Only three periodicals may be borrowed at one time, and they must not be kept longer than five days. Periodicals published by the American Medical Association are not available for lending but can be supplied on purchase order. Reprints as a rule are the property of authors and can be obtained for permanent possession only from them.